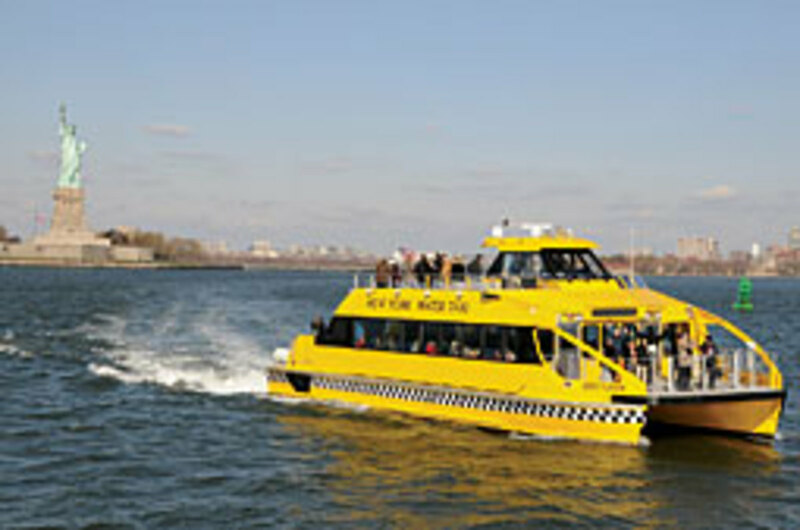 New York Water Taxi has added a fifth member to its fleet. Gene Flatow, a yellow all-aluminum catamaran, carries 99 passengers when operating at “water taxi” designated docks in New York City, but is equipped to carry 149. The vessel is powered by twin Cummins QSK 19-M diesel engines — the first to be released for commercial service by the company — and reaches a maximum speed of 27 knots. The 72-foot Gene Flatlow is 27.3 feet abeam and draws 5 feet. It is guided by a 3206C Color GPS Map Plotter and a Furuno 1934C NT VX2 radar, and has the capacity for 1,080 gallons of fuel. The cat is equipped with a Furuno RD-30 Depth Sounder, and includes a heated foredeck. Other amenities of note include a galley, plasma TVs, a snack bar and a head. The diesel engines and generator exceed the latest EPA emissions standards, according to shipyard officials, and hospital-grade mufflers and energy-absorbing cabin mounts reduce interior sound levels. The vessel was built by Gladding Hearn, a maker of high-speed passenger catamarans for service in the United States and the Caribbean since 1984. Marine industry lobbyists in New York are launching a grassroots effort to fight the governor’s proposed tax increase for boats and other luxury items. “We have to educate the governor’s office on what this will do to business in New York,” says Chris Squeri, executive director of the New York Marine Trades Association. Gov. David A. Paterson recently announced a plan to raise sales taxes on boats and other luxury items to fill a budget deficit of $15 billion. The proposal includes an additional 5 percent tax on boats more than $200,000. The tax will do nothing to increase the state’s coffer, because consumers will simply buy fewer boats or purchase them out of state, says Squeri. For information on the NYMTA’s grassroots effort, call (631) 691-7050. Hellier Yacht Sales in New London, Conn., is working toward expanding its operations. Hellier, which represents Catalina, Jeanneau and Island Packet sailing yachts and Dyer dinghies, added Mark McLeod as executive vice president and general manager, effective immediately. 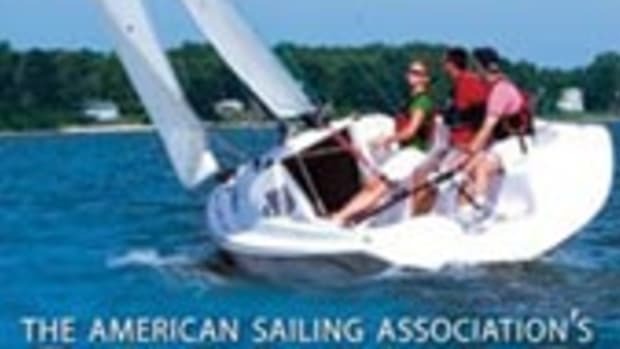 His goals include new Catalina, Jeanneau or Island Packet sales and brokerage services. With McLeod, Hellier also plans to “maximize the use of” the mini marina and inside showroom at its facility, next to Crocker’s Boatyard in New London. 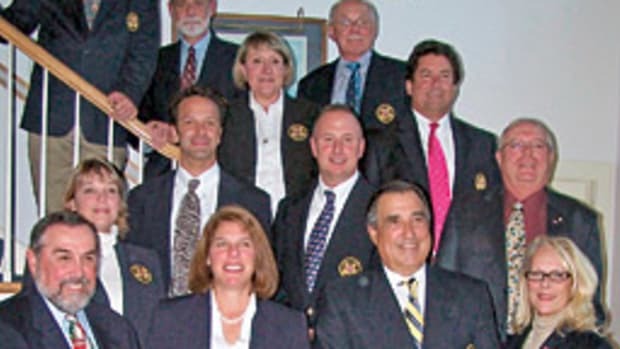 McLeod has more than 12 years of experience in sales, marketing and management in the sailboat industry, as a yacht broker and manager at Connecticut boat dealerships. Rick Dieterich will assume the role of vice president of sales. 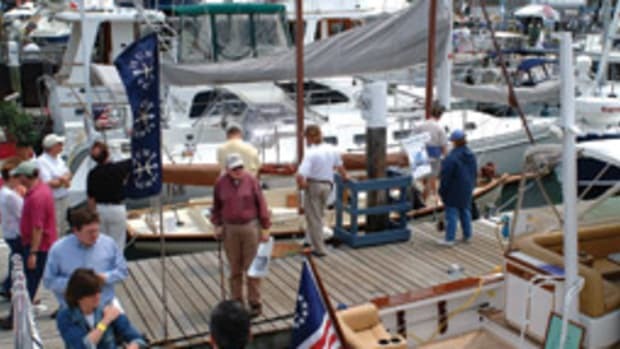 Hellier Yacht Sales features a 7,000-square-foot facility and 17 floating docks dedicated to boat commissioning and delivery, access to Long Island Sound, a full-service shipyard and on-site sailing school. 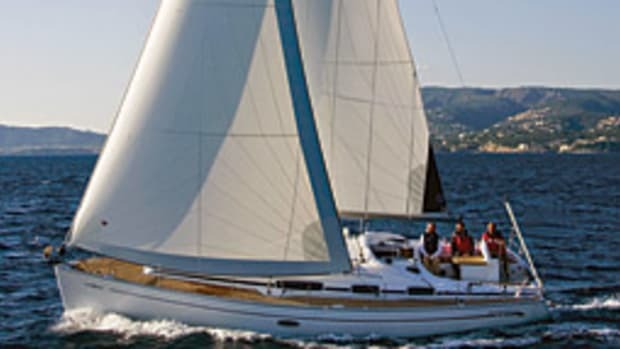 For information, visit www.hellieryachts.com. 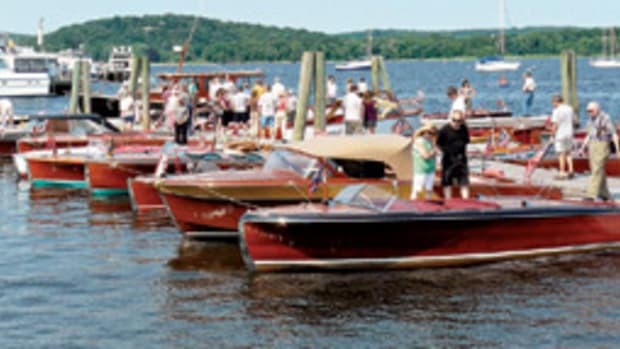 Silver Bay, N.Y.-based Hacker Boat Company, makers of Hacker-Craft mahogany wooden boats, is expanding its production facilities with the acquisition of a 32,000-square-foot production facility in Ticonderoga, N.Y. The company now has five locations including two new acquisitions in Hague, N.Y. The Decker Hill location offers inside and outside boat storage on nine acres. The other acquisition, Kings Boat Works off Route 8, offers inside and outside boat storage and a marine service repair facility. 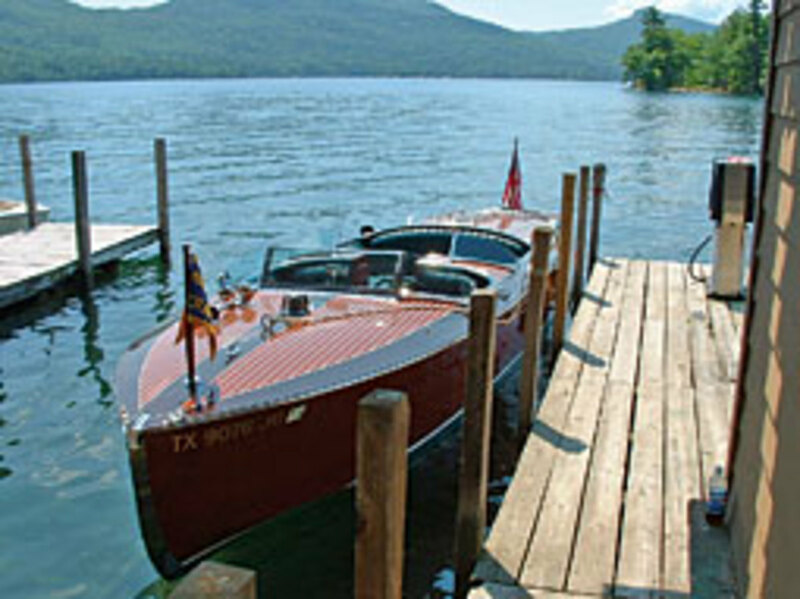 The main Hacker Boat Company boatbuilding facility is on the shores of Lake George in Silver Bay, N.Y., and an existing downtown Ticonderoga, N.Y., facility is responsible for all boat restoration services. Honda Marine is offering re-power financing rates, beginning at 4.99 percent APR through March 2. (Rates begin at 6.99 percent to finance complete boat, motor, trailer and accessory packages.) The option is offered by Honda Financial Services through participating Honda Marine dealers, and available to boaters re-powering their vessels with new and unregistered Honda outboards. Customers also have the option to defer payments for 90 days and face no interest charges for the first 60. 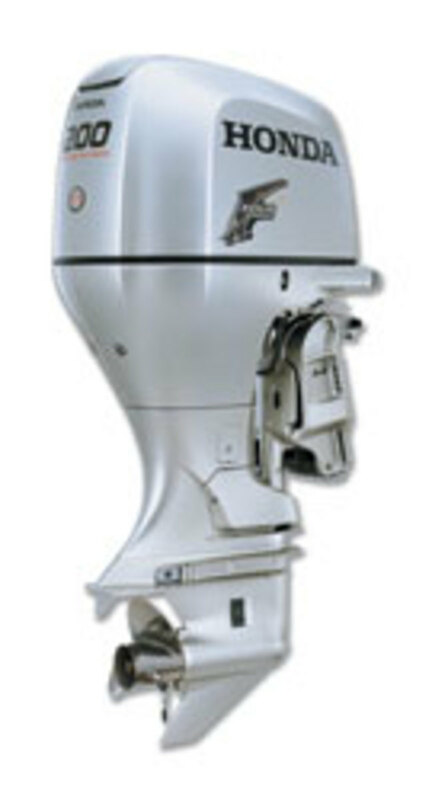 Honda Marine outboards offer “True 5”— a 5-year factory-backed warranty. Honda Marine’s models range from 2 to 225 horsepower and meet California Air Resources Board (CARB) 3-star standards, ensuring regulatory compliance in all 50 states. The Connecticut Department of Environmental Protection named David Simpson the new director of marine fisheries in the agency’s Bureau of Natural Resources. Simpson, a 28-year veteran of the DEP, had been serving as acting director of marine fisheries following the recent retirement of former director Eric Smith. 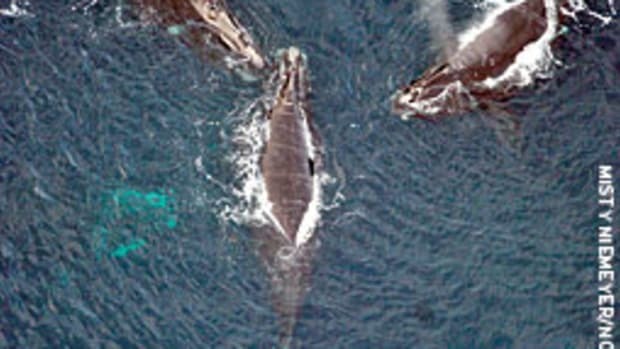 He holds a bachelor’s degree in biology from the University of Rhode Island and a master’s degree in marine biology from Southern Connecticut State University. Phase II of the Montauk (N.Y.) Yacht Club Resort and Marina renovation has started, according to the owner of Island Global Yachting. Phase II of the multimillion-dollar renovation, which began during the offseason last year, coincides with the resort’s 80th anniversary and includes enhancements to the club’s guest rooms and suites, public spaces, and meeting and conference facilities. All construction/renovation activities for Phase II will be complete prior to the reopening of the resort in April, according to IGY. All of the resort’s old furniture is being donated to Habitat for Humanity’s ReStore Program. The Montauk Yacht Club Resort and Marina was founded in 1929 and is situated along a 22-acre parcel on Long Island’s South Fork. The club’s original membership included Vincent Astor, J.P. Morgan, Nelson Doubleday, Edsel Ford, Harry Payne Whitney, Thomas Eastman, John Wanamaker and Harold S. Vanderbilt. More than $13.5 million in competitive grants will be awarded to 15 states ranging from California to Rhode Island for 19 boating infrastructure projects. The grants, which will help fund construction of docks, boat slips and other facilities to support recreational boating, are made available through the U.S. Fish and Wildlife Service’s Boating Infrastructure Grant (BIG) program.